I'm down sizing the herd. New adventures ahead. I have around 15 breeding females for sale at $1,000.-$1,500. I also have a group of breeding females at $3000 - $12.000. and some Breeding Males at $1,000.- $5,000. 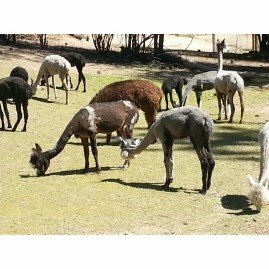 All good healthy alpacas,registered , up to date on shots, worming, toenails,and teeth trimmed. I have Whites, Fawns, Browns, Black, Rose Gray and Grays. Please give me a call or email and I'll send you pictures and info on what you are looking for.